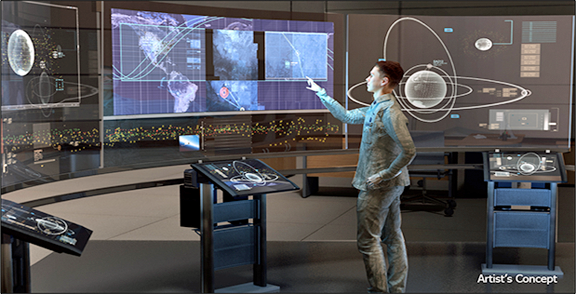 To help ensure future U.S. technological and strategic superiority, DARPA’s Hallmark program seeks to develop revolutionary tools and technologies to plan, assess, and execute U.S. military operations in space. 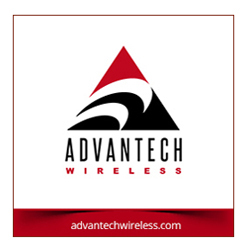 The program has completed initial research and awarded Phase 1 contracts to 11 organizations, which both augment existing commercial technologies and pursue entirely new capabilities. Hallmark has released a Broad Agency Announcement seeking additional technologies for potential inclusion. DARPA’s Hallmark program seeks to develop revolutionary tools and technologies to plan, assess, and execute U.S. military operations in space. In its pursuit of these breakthrough capabilities, the program has completed initial research demonstrations and awarded Phase 1 contracts to 11 organizations. Hallmark has also released a Broad Agency Announcement seeking additional technologies for potential inclusion. Click below for high-resolution image. The Hallmark Tools and Capabilities 2 (Hallmark-TC2) BAA aims to develop and validate additional technologies to complement and augment the Hallmark-TCEM tools and capabilities currently being integrated into the Hallmark software testbeds. A Proposers Day for Hallmark-TC2 is scheduled for Tuesday, January 30, 2018 at the DARPA Conference Center in Arlington, Virginia. Registration information is available at www.schafertmd.com/darpa/tto/hallmark/p2pd/. Questions should be emailed to HR001118S0008@darpa.mil. Hallmark’s Phase 1 research seeks to develop a modular system that could quickly and easily add, remove, and exchange tools from multiple providers. Hallmark Tools, Capabilities and Evaluation Methodology (Hallmark-TCEM) is developing the first set of tools and technologies, as well as providing one of the first instances of using cognitive evaluation to inform development of tools for U.S. military command and control. Cognitive evaluation involves well-established research methods for assessing situational understanding and awareness, including qualitative (interviews) and quantitative (logging human-machine interaction) data collection during and after testing. DARPA is using this discipline to more quickly discover which tool and task combinations most effectively convey information, contribute to operators’ understanding of situations, and enhance real-time decision making. Lt. Col. Jeremy Raley, program manager in DARPA’s Tactical Technology Office (TTO), noted that 21st century space BMC2 must enable commanders to quickly understand and handle situations by optimizing delivery and presentation of crucial information to make decisions, then provide flexible options for effective, timely response. Hallmark aims to more quickly, collaboratively, and cost-effectively develop unprecedented space BMC2 tools. TTO Director Fred Kennedy added that everyone says they can build ‘better’ human-to-machine interfaces, but how is ‘better’ being measured? Normally, subjective interpretations from operators at consoles are relied upon — Hallmark’s unique insight is that quantitative methods should be able to be used to accurately and reliably measure cognitive performance. That’s a big step forward. Additionally, the director of the U.S. Defense Advanced Research Projects Agency (DARPA), Dr. Steven Walker, announced the appointment of Dr. Peter Highnam as deputy director of the Agency — Highnam, a former DARPA program manager, is expected to help advance critical research in several fields including artificial intelligence, data analytics, communications, reconnaissance, electronic warfare, bio-security, and warfighter health. DARPA's newly named Deputy Director. Highnam succeeds Dr. Stefanie Tompkins, a ten-year veteran of DARPA, who has served as the acting deputy director of the Agency since January 2017 and departs this month after being named the vice president for research and technology transfer at the Colorado School of Mines in Golden, Colorado. 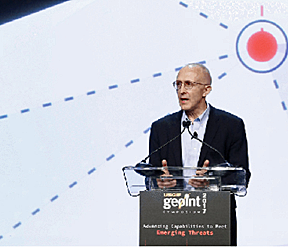 Highnam comes to DARPA following an assignment from the Office of the Director of National Intelligence (ODNI) to the National Geospatial-Intelligence Agency (NGA) where he was responsible for the Agency’s research organization for the past two and a half years. Prior to this assignment, he served six years at the ODNI Intelligence Advanced Research Projects Activity (IARPA), initially as an office director, and then as director. While at IARPA Highnam was also involved in government-wide high performance computing (HPC) activities, including the National Strategic Computing Initiative and the Department of Energy exascale initiative. Before IARPA he worked for six years in the U.S. Department of Health and Human Services (HHS). As a senior advisor in the National Institutes of Health (NIH), Highnam had responsibilities in multiple areas where high performance computing intersects with biomedicine and public health, including computational epidemiology. As senior advisor in the Biomedical Advanced Research and Development Authority (BARDA), he produced analyses related to chemical, biological, radiological, and nuclear events, as well as naturally occurring disease, in support of public health decision-making. From 1999 to 2003, Highnam was a DARPA program manager working in electronic warfare and airborne communications. His research in electronic warfare (Advanced Tactical Technology (AT3) program) focused on inexpensive approaches to rapidly and accurately target enemy air defense radars from greater standoff distances. Also, Highnam investigated technology for high performance, flexible, and secure networked communication between tactical aircraft (Tactical Targeting Technology (TTNT) program), enabling plans to move away from systems such as Link 16.